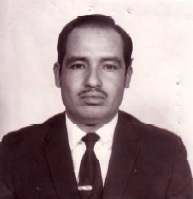 Graveside services are scheduled for 10 a.m. Friday, Oct. 9, at Twin Oaks Memorial Park for Telesforo Flores Montiel. Flores, 70, passed away peacefully at home, surrounded by friends and family, Wednesday, Oct. 7, 2015. He was born Jan. 5, 1945, and was a longtime resident of Artesia. He retired from work as a custodian with the Artesia Public Schools.